Swin deorin is the producer from Scotland who makes a name for himself as a proud beard owner (when the beard goes off, it is greatly missed!) but also (and most importantly!) for its electronica. 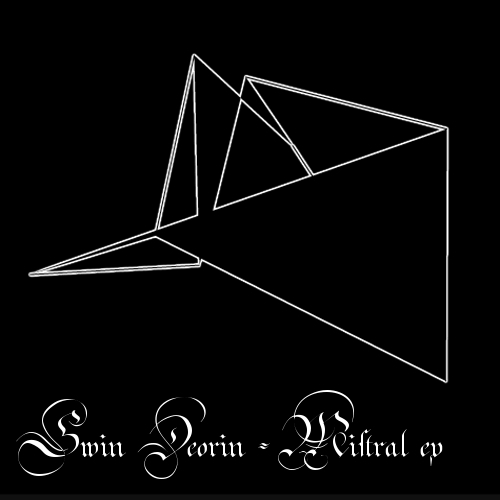 The Swin Deorin has been around dropping amazing quality albums that wouldn’t be less professional sounding as projects like Boards of Canada and everything else that are of a electronic kind. It’s like Swin Deorin is a collector of ideas and is talented to know how to make them his own. I say this because listening to this producer is always a surprise to hear what the fellow had been cooking up. From intelligent beats, melodies to whatever is around. You can’t know what to expect as from a melodic track you could be suddenly thrown into a hint of dubstep or fall into a hard jumpstyle or perhaps be pushed in a experimental beauty. The all round impression of the things that my ears heard of this producer is that he has the talent to make anything he wants in the electronic sector. I wanted to go and present you the latest Swin Deorin’s album but as for some reason the internet connection has been very slow (yeah I know…) so I dug up this free net-release of the Swin Deorin from the dusty corners of the hard disk instead. It’s a good one, so why not? The look of the tracks is nice, short titles that doesn’t really seem to give a clue what is behind them audio-wise. It’s almost like the beard of Swin Deorin; it is nice but doesn’t seem to give a clue how the chin of our Scottish friend looks like. But we are sure it looks fine! The first one is named ‘Parhelion’ and is a electronic beat orientated work that would be a perfect soundtrack for a sportive game of table tennis or perhaps a match of Ping Pong. You can just imagine the Sportshoes leaving stop and run marks on the floor and the ball going from one side to the other in a fierce battle of activity. Another rhythmic track is the one named ‘mistral’ which has a dark toned piano key pressed in order to shape a dark but funky dance session. I feel like listening to a piece of music that can become jazz but stays away from it in order to stay close to the soul of the Swin Deorin. Half way the piano comes out to say hello and I can’t stop thinking of someone in New Orleans playing it by using only one finger. Imagine if more fingers where used; the mind would have been blown up but for now the rhythm and piano are in a perfect harmony and equal in proportions towards each other. Towards the end the music changes a bit leaving the previous style to form a more dramatic moment in which a woodpecker beat meets a easy guitar riff with a more brighter piano loop for extra intense effect. The mood would suit perhaps a documentary with a objectivity that might be confronting to some and comforting to others. And now we have come to one of these ‘Swin Deorin’ moments that I was talking about in the beginning of this review. Out of nowhere Swin Deorin comes with a completely different take on electronic music that features breakbeats, active dance beats that keeps the speakers pumping while having the character of a radio hit that could have come out of the ravers scene from the nineties. A time before people where crushed at the Berlin love parade and everything was happy active and full of yellow smiley faces. Zonda is the last track and brights up with more of those memorable electronic strings before launching a bubble synthetic melody that becomes this amazing deep tune of deep beat and spacious hymns that sound wise feels like a warm hug before we all say goodbye. This entry was posted in avantgarde, dance, electronic, experimental, IDM and tagged avantgarde, electronica, experimental, IDM. Bookmark the permalink.